Kay (Tremper) Verrilli, 88, of Rhinebeck, passed away peacefully in her home on January 26th 2019. Born in Poughkeepsie, New York on June 25th, 1930, she was the daughter of Stanton Rockefeller Tremper and Kathryn Mae Stewart. Kay grew up in Red Hook, New York and graduated from Red Hook Central High School and went on to attend House in the Pines, Junior College, in Norton, Massachusetts. An accomplished horsewoman, Kay was devoted to horses throughout her life. She rode competitively and won numerous honors. Before her marriage to Dr. George Emil Verrilli in 1960 she worked as a riding instructor at Boulder Brook Riding Club, Scarsdale, New York where she helped teach the Olympic Equestrian Team. Although raising her three children was her priority, Kay’s other passion was her commitment to her community. 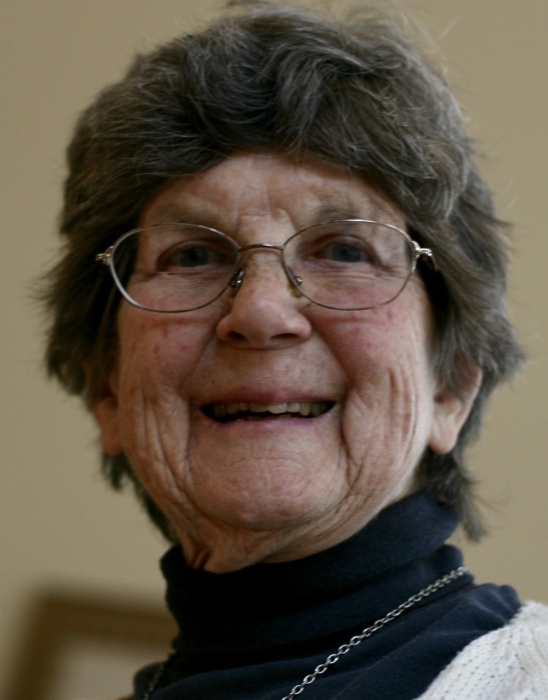 She held leadership positions in local government and many local organizations including Town of Rhinebeck Conservation Advisory Council, Landsmans Kill Trail Association, Hudson River Heritage, Starr Library, Museum of Rhinebeck History, Quitman Resource Center, Rhinebeck Historical Society, Northern Dutchess Alliance, Meals on Wheels and Northern Dutchess Mother’s Club. She was a strong advocate of protecting the quality of life so special to the Rhinebeck community. She dedicated many years to preserve the sense of place enjoyed by citizens today and to assure it for future generations. For her extraordinary efforts Kay was recognized as Citizen of the Year by Rhinebeck Rotary and the recipient of Community Service Award from Chancellor Livingston Chapter of the DAR and Service Award from Museum of Rhinebeck History. The Rhinebeck community is indeed indebted to Kay Verrilli. Friends and family will remember Kay for kindness and grace, a woman who always stood by her principles and made those around her laugh with her frank sense of humor. She was predeceased by her daughter Mary and is survived by sons Colin (Cathy Verrilli), Stewart (Jane Brien) and Matthew (Betsey McCall), four grandchildren Danielle, Marianne, Alberto and Graham and one great granddaughter Clara and brother Stanton Rockefeller Tremper Jr and dedicated caregiver and companion of four years Beatrice ‘Bea’ Sarfowaa. A Memorial Service will be held Saturday June 29th at her home, 176 River Road, Rhinebeck, NY at 1pm. Arrangements are under the direction of the Dapson-Chestney Funeral Home, Rhinebeck. In lieu of flowers, memorial donations in honor of Kay can be made to one of the above mentioned organizations. There's still time to send flowers to the Memorial Service at the verilli at 1:00 PM on June 29, 2019.